Why Should You Use a Frosted Window Film in Your Office? Home » Recently Completed » Why Should You Use a Frosted Window Film in Your Office? Frosted window film is ideal for the office environment, but it is not intended for car windows. The frosted coating allows a substantial amount of sunlight to pass through the window while reducing visibility. This passage of natural light gives the room a lively and fresh aura throughout the day. This frosted window film for privacy is ideal if the window is facing a hallway or is in front of two or more office buildings. With frosting, no one will see what you are doing in your room or the bathroom. Hence, nobody will know if you are doing something inside the office lavatory. Frosted window film gives a different appearance to the office building. It gives a sophisticated vibe in any room, whether it is a workstation, restroom, or window. 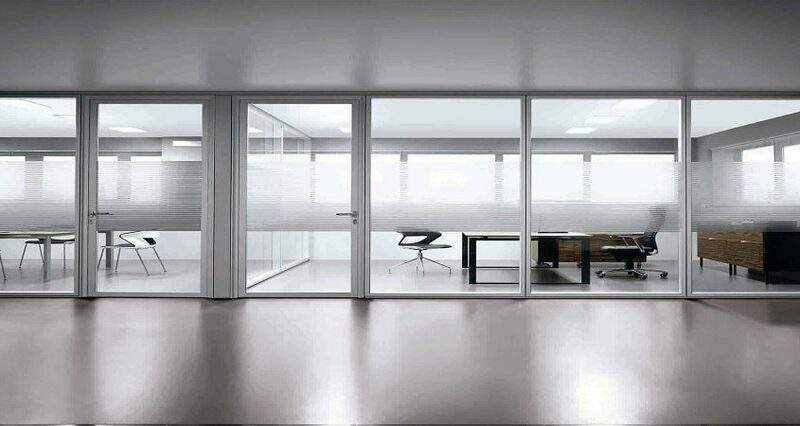 Nowadays, many businesses are opting for frosted glass partitions because of how it brightens the area. With a decorative frosted privacy window film, you do not need to buy any window shade. As mentioned earlier, frosting provides privacy like other window accessories. However, it does not have strings or cords that you need to tie or pull if you want to brighten the room. Moreover, it makes the cleaning process easier because you do not need to remove anything. You just need to wipe the window to remove the dust and dirt. We are all aware of the harmful effects of UV rays. It can cause sunburn, or worse, skin cancer. However, it can also damage your furniture. Too much ultraviolet exposure can fade out the color of your office upholstery. Hence, if you want to keep the beauty of your furnishings, then you should apply a frosted window film to your windows. As you can see, there are several benefits that you can get from this window tint. However, before getting a product, make sure that you know what you want. For instance, if you want to put it in the restroom, then you should get a frosted window film for the bathroom. However, if you like to use it for advertising purposes, then you should get a frosted window film logo. All these frosted window film products and more are available at the Energy Window Film Solutions. Go to our site and get a free quote.